Warning: This will be the same recycled article that you have always read this time of year! Each year, around the first week in November (and sometimes as early as late October) you find in your inbox, mailbox or shoebox an article about giving thanks, counting your blessings or having the proverbial “attitude of gratitude.” This is no different. Having a grateful heart and expressing that to your Higher Power, loved ones, or the guy you don’t even know that held the door open for you this morning, never gets old. We have all had that buzzing feeling, generated from the deepest recesses of our soul. You know the one. That feeling that you felt when your boss noticed your hard work and offered a promotion. That feeling that you felt when your wife called all of your friends together for an awesome surprise birthday party. That feeling you felt when Ed McMahon came to your house with a huge check. Okay, so I’ve never felt that, but you get the idea. Growing up with three channels and being stuck at home in the summer, I used to watch The Price Is Right EVERY DAY before going out to play with my friends. At a young age I imagined thankfulness in the form of an unsuspecting individual kissing Bob Barker and jumping for joy when they were called to “Come on down!” The thankfulness expressed to the man with the long skinny microphone was based on the person getting something that they had not expected, perhaps not deserved. On the other hand it usually ended sad in the “Showcase Showdown,” as I would watch the person grossly overestimate the combined cost of a trip to Jamaica, a treadmill, snow skis and an Isuzu Rodeo. It was truly unfortunate. I would secretly wonder what I would do with snow skis in south Mississippi, and think that they better come up with something else in the Showcase Showdown when I get on the show. The person did usually walk away with some sort of winnings, a consolation prize. In recovery we are growing to realize that gratitude can come not only in moments of great joy, but also in times of deep sadness. Sometimes the richest blessing comes not in what we received, but what we learned when something was withheld. Either way, thankfulness is produced within us when that spiritual part of who we are recognizes that situation as being exactly what God intended it to be. It wells up within us, and like electricity it can’t stop there. Thankfulness must be discharged. When that feeling gets a hold of you it almost seems as though you couldn’t keep it inside if you wanted to. We practice discharging thankfulness daily at Next Step in our community meeting. We call it Affirmations. It is a beautiful time that we set aside to teach the art of appreciating someone for something that they did that was epic and awesome, and just for you. Sometimes, and rather unfortunately, we sit on that feeling long enough and it dissipates. We miss our chance. We miss that golden opportunity for true gratitude to exist, because even though it was produced in us by some kind and selfless act from another, we did not discharge it. Remember what Faulkner said? We stifled it and now it is as if that awesome, life-changing gratitude never existed. But let’s say, for the sake of the season, and the sake of positive thoughts and energy that the gratitude was produced and was discharged. What then? How does it get ‘used up?’ I’m glad you asked. Gratitude gets used up when we pay it forward. Gratitude exists and is perpetuated when we get off of our pity pots, count our blessings and seek to be a blessing to someone else in word or deed. That is when, Faulkner says, gratitude exists. Our Sober Living patients are living this out as well. They have and seize the opportunity, each week, to do volunteer work in the Hattiesburg community. Habitat for Humanity provided a recent opportunity for the Sober Living group. At the end of the day the guys returned, weary and worn from a day of manual labor. Even though the task of scraping paint off of an old house wasn’t fun, the idea of giving hope to someone else, because they had found it through the program, offered all the motivation they needed. I heard a saying from an unknown author once that goes something like this, “If you want to know how grateful someone is, ask them to help you.” People give back when they have something to give; when they have experienced true gratitude themselves. Undoubtedly we will gather with our families on the last Thursday of this month, watch the Macy’s parade, toss the football, eat fantastic food, take a nap and shop till we drop the day after. As we gather around the table let’s not forget why we gather. Don’t’ neglect the still, small voice that says, “Be grateful.” “Pass it along.” “Practice this often.” Gratitude is a gift that will change your life. We see people every day finding the peace of recovery through humility and thankfulness. It is a gift far greater than anything Bob Barker has to offer. Russ Rainey is the Clinical Director for the Next Step program at Pine Grove. Pine Grove Behavioral Health and Addiction Services in Hattiesburg, Mississippi is known as one of the nation’s most comprehensive treatment campuses. 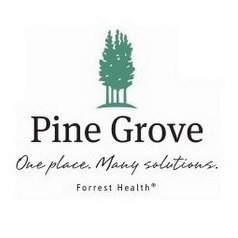 For over twenty five years Pine Grove has offered a continuum of services ranging from outpatient to inpatient and residential treatment for adults, children and adolescents suffering from psychiatric and addictive diseases. Specialized services include the treatment of addictions, eating disorders, and professionals struggling with interpersonal difficulties. The Pine Grove Mission is to be a leader in healing and changing lives by providing the highest quality behavioral health services.